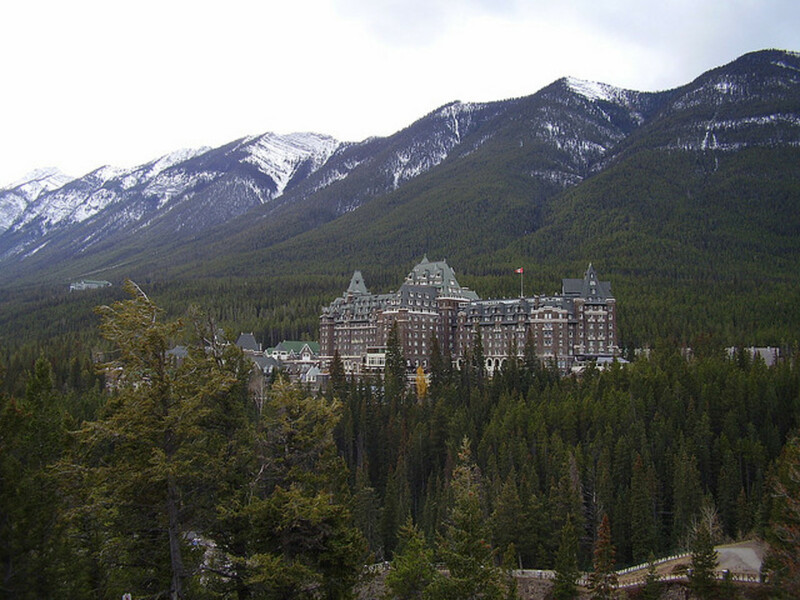 To the west of the Canadian Prairies and to the east of the Pacific Coast, lie the Canadian Rockies, home to the Fairmont Banff Springs Hotel. This castle of the Rockies is unique to this area and a surprising change from the chalets and log cabins commonly seen in the area. Much like the castles of old, it stands apart from the town of Banff, its scale and grandeur far different from the village atmosphere of the rest of the town. How did this grand structure come to be, in the middle of the mountains of Canada? Who had the means and desire to build such an edifice in a place where winter comes so early, and stays so late. And how does one stay in this castle, and how much does it cost? 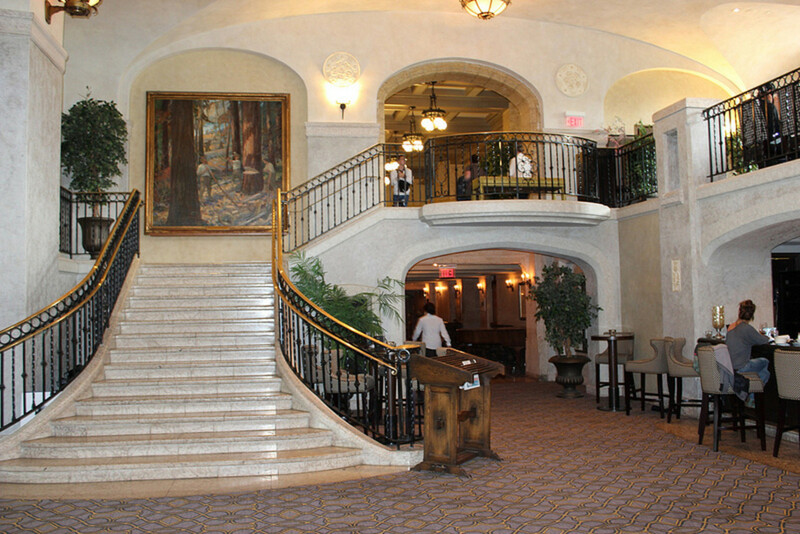 This article will answer all the questions and more, about the fascinating Banff Springs Hotel. I will also tell you that I have a personal fascination with hotel. As a former Calgarian, I used to love to drive to Banff and the beautiful hotel has always held a certain mystique to me. I have never had stayed there overnight, but I have spent time in the public areas and have had several friends and family members who have stayed there. I am doing research for my own interest, and look forward to sharing my finds with you. The original hotel, which burnt down in 1928, was built not facing the mountains, due to "builder mistake." Marilyn Monroe stayed there while filming her film, "River of No Return," with Robert Mitchum. Queen Elizabeth II has stayed there three times. The resort features a built-in bowling alley, 19 restaurants and bars and two golf courses. The original architect, Bruce Price, was the father of the lady of etiquette, Emily Post. Banff is a resort town located in the Banff National Park, a protected area of Canada. Calgary is located an hour and a half drive from Banff. Banff is approximately eight hours away from Spokane, Washington, by car. If you are travelling by highway, from the States, note that the town of Banff is located approximately 5.5 hours from the U.S.A. / Canada border. If you are considering a trip to the Canadian Rockies, this book is a must-have. It is written by Andrew Hempstead, an experienced travel writer who has extensive knowledge of the region that he generously shares with you. Ideas and insight that only a local would know about. Banff is located in Alberta, Canada. Alberta is known for its prosperity from rich oil fields and a generous natural gas supply. Banff is an hour and half drive from Calgary, Alberta, the biggest city in the province of Alberta, and a fast-growing metropolis. Banff can be seen in the horizon by Calgarians and is a favoured destination by Calgarians searching for a getaway. 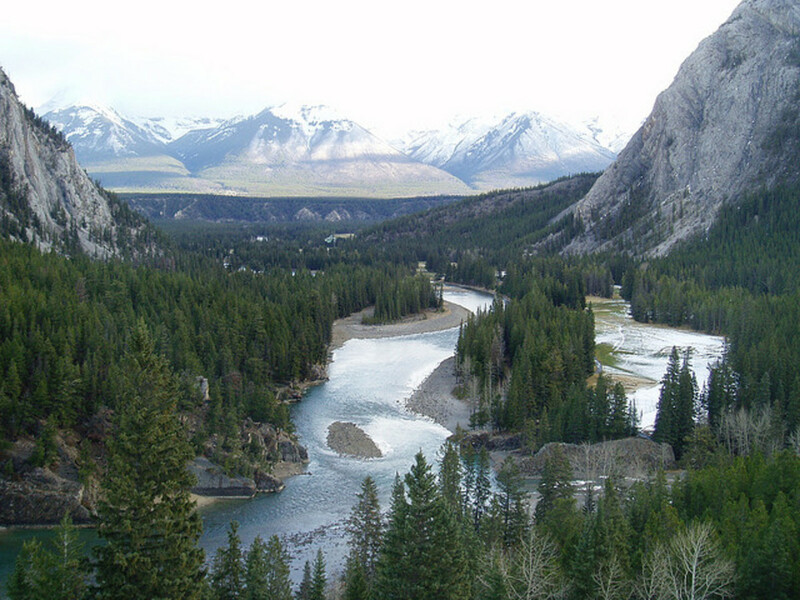 The town of Banff can be reached by driving along the Trans Canada Highway, as it is called by Canadians. The small town is a world-wide tourist attraction located in the midst of the Banff National Park. 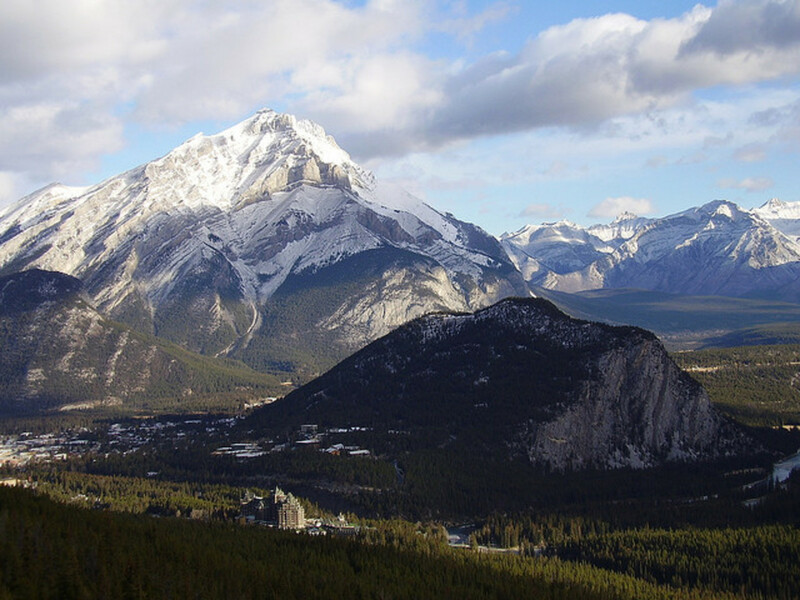 Approximately 3.5 million visitors come to Banff National Park on an annual basis. The park is a protected 2564 square miles of wild mountains, glaciers and lakes. For American visitors, the town of Banff is about an eight hour drive miles from Spokane, Washington and about a five hour drive from the US / Canada border. Tourists can also get there by plane, first to the Calgary International Airport, and then with a shuttle from the airport. Five facts about Canada that everyone should know. First of all, we DO NOT live in igloos! A trip to Drumheller is full of surprises. Here is a guide to some of the things you will find when visiting this strange prehistoric location in Alberta, Canada. What is Canada? Canada is the land of a thousand places. Listen the voices that talk about Canada. Listen to the First Nations people, the immigrants and some modern day Canadians. A cultural centre in the middle of farmtown, Alberta. How did this place come to be and what does it offer? 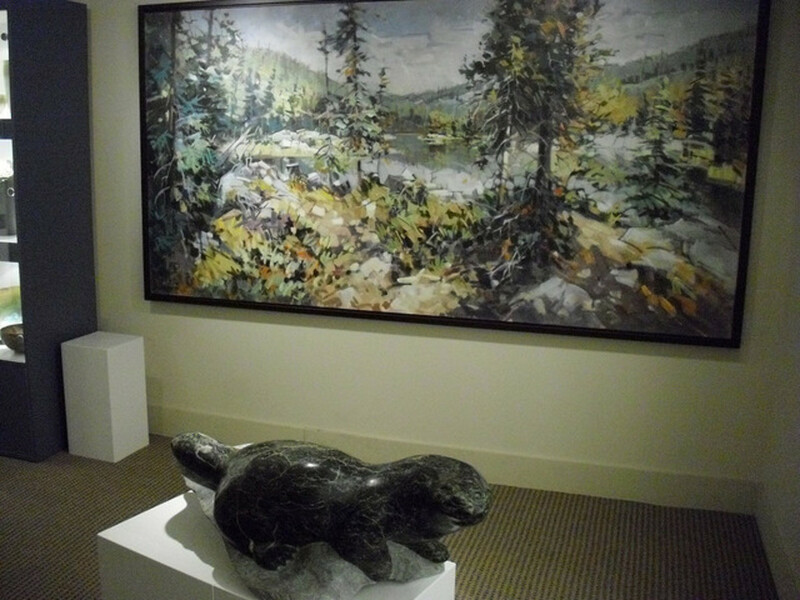 You will never run out of things to do at the Fairmont Banff Springs Hotel. Besides the wealth of natural beauty found in the town and surrounding park, there are numerous features to be found at the hotel itself. This is definitely a resort in every sense of the word! First of all, the hotel features twelve restaurants and lounge, including a sushi bar, a restaurant bar with German/Swiss cuisine and many others. The women I know who stay at the Banff Springs Hotel have liked two things best: the shopping and the spa! These features are done to perfection. There are seventeen different shops located right in the hotel, including some for enjoying the outdoors, as well as a wealth of gift shops, with art, gifts and clothing. The Willow Stream Spa of the Fairmont Banff Springs Hotel is designed to have a similar feel to the hot springs so famous in the Rockies and is the ultimately pampering experience. For kids, there is a bowling alley, including a neon blacklight feature. Kids can also take part in a program called Kid's Club, which has trained childcare staff taking children on hikes, walks and other adventures. Booking can be done online at Fairmont.com. According to the company website, rooms range from $299 a night, for a basic room, up to $889 for the best room in the house. The best room is going to get you over 600 square feet of space, a lounge, view of the mountain and a private valet just for you. Although these are the listed prices, I do know from friends and family, that better deals come up from time to time. There is also a special price just for local Albertans. Getting to the hotel can be done by car or from the nearest airport. The closest airport is the Calgary International Airport, and there is a direct shuttle service from the airport. Because the hotel is located inside a National Park, there are also fees for staying in the park. Fees for staying in the park are $9.80 for adults, $4.90 for kids and $19.60 for groups and families, per night. Canada also has a 5% G.S.T. tax, as well as a hotel tax. Please note that these prices are all from research done in August 2012. Please check the websites for current prices. There are many things to do in beautiful Banff, Alberta. First of all, just look around you. Being in the town itself is exhalirating because of the breathtaking beauty. 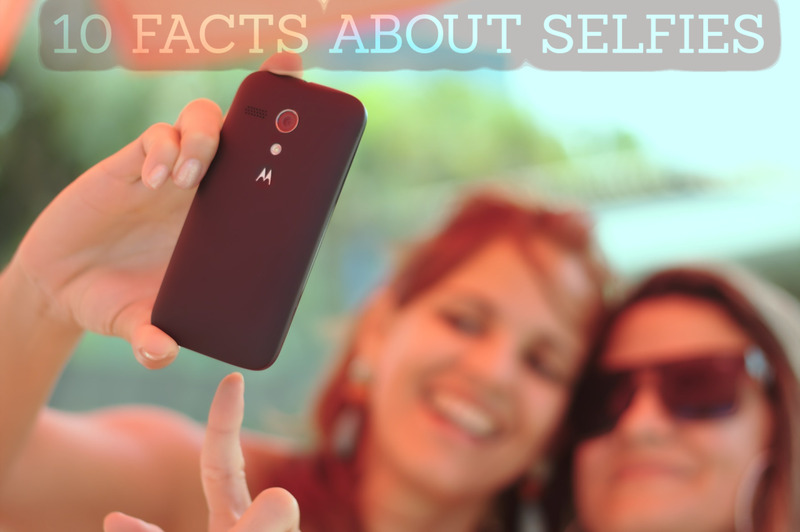 Taking pictures can be enough to keep some people busy. It is also cool to witness the wildlife that are allowed freedom to come around the town. 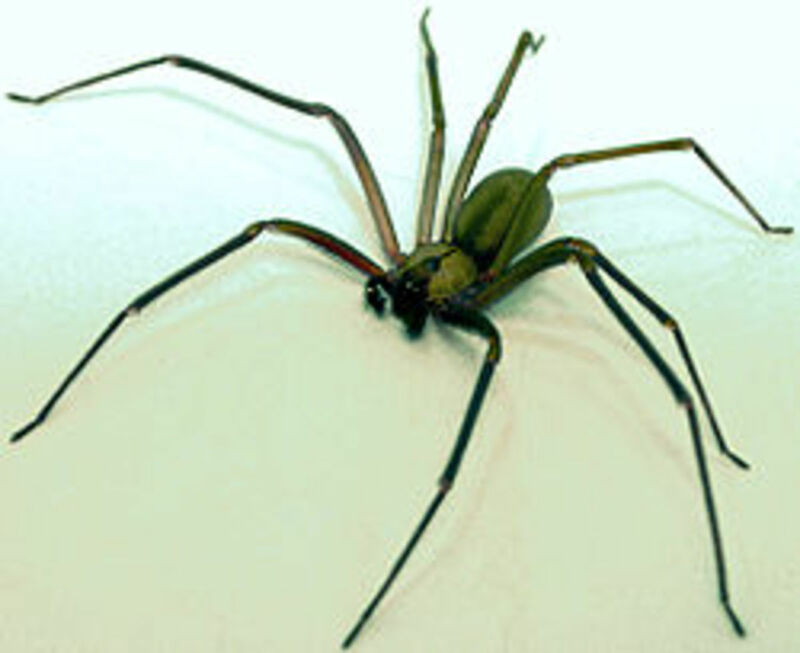 It is not uncommon to see some deer, elk and mountain goats on the side of the road or crossing some grass. Park authorities, though, do caution to not get too close. They may be cute, but they still are wild animals! For more about wildlife viewing, see these suggestions from Parks Canada. You can also walk around the town and take in the stores. Stores are designed according to guidelines set out by the town of Banff to give it a consistent rustic feel. 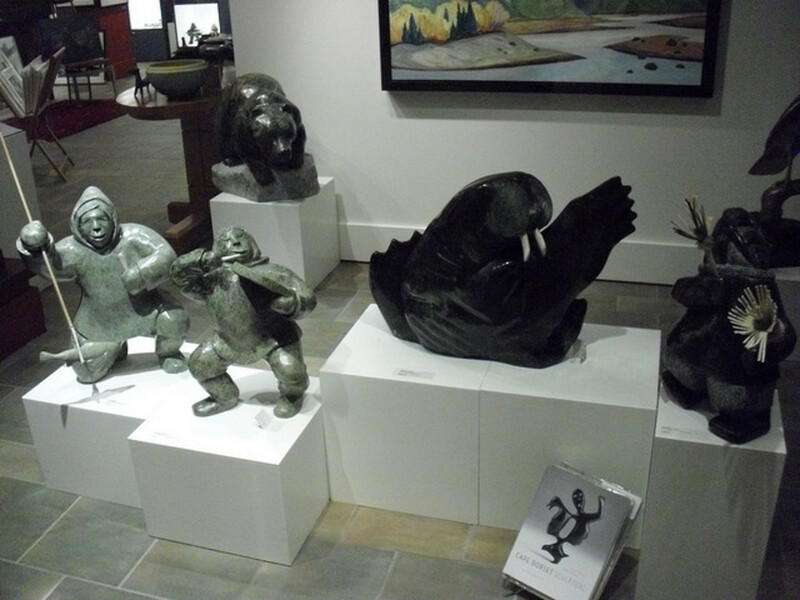 There are many interesting stores to browse in, including lots of gift shops and art galleries. As well, there are many restaurants, lounges and coffee shops. Two of the most popular tourist attractions include the Banff Upper Springs and the Banff Gondola. The Hot Springs offers a hot soak straight from spring waters. I have soaked in these hot springs and I can attest that they are truly relaxing. The Gondola offers a ride up to Sulphur Mountain. It is fun but a bit scary if you have any fear of heights or suspension. I have taken the ride a few times, but each time, I did hold unto the side of the car! Let me say that it felt like more than a five minute ride. The view from the top of that mountain, however, is well worth a little nervous tension! There are also many opportunities for outdoor adventures in Banff, including some world-class skiing in the winter at the park's several ski resorts, including Lake Louise and Sunshine Village. This is a collection of never-before seen photos of Marilyn Monroe in Banff, Alberta. When royalty comes to town, where do they stay? If it's Banff they are coming to, they stay at the Banff Springs Hotel. The hotel has had the pleasure of putting up Queen Elizabeth in 1951 (while she was still a princess) and again in 1959 and once more in 2002. 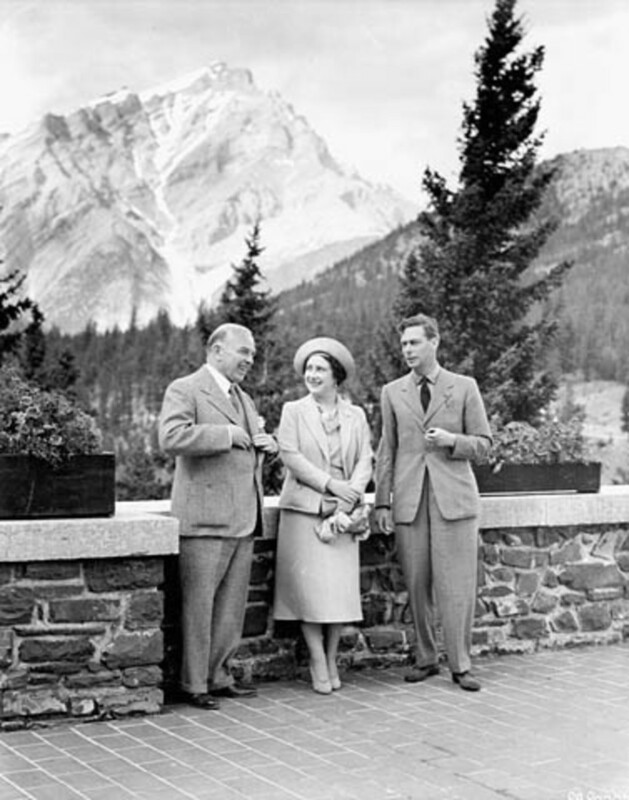 King George, father of the present queen, stayed at the Banff Springs Hotel with the present Queen Mother in 1939. Other famous guests have included Helen Keller, jazz musician Benny Goodman. Marilyn Monroe also stayed here during the filming of the movie, The River Never Ends. Just recently, never before seen photographs of her surfaced and were made available in a book done by the photographer, John Vachon. Monroe stayed there to get better after breaking her ankle during the shooting of the movie. 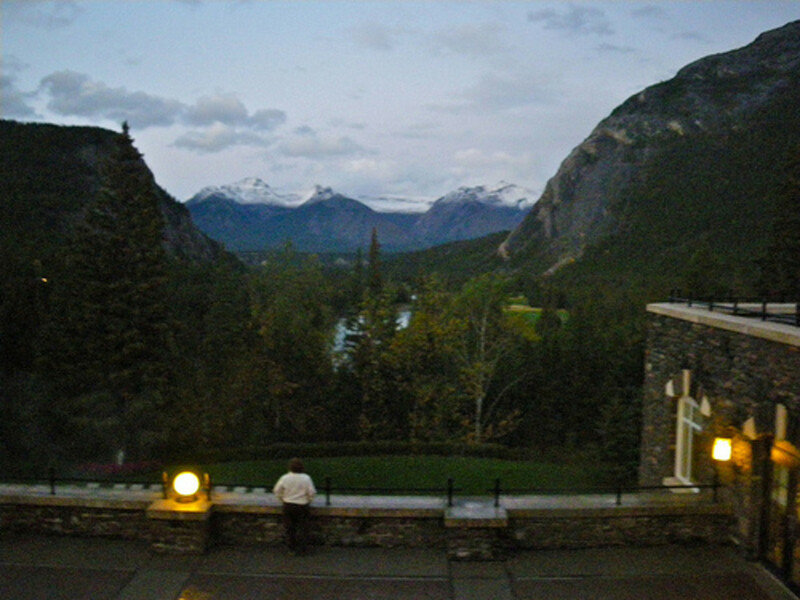 In recent years, celebrities associated with the hotel have included William Shatner, who taught a class there and received a Lifetime Achievement Award from the Banff World Television Awards. According to this fun article featuring an interview with the guest relations manager, Meg Ryan and Robin Williams. among countless of other celebrities, have all been guests of the hotel. This book is the go-to book for learning about the fascinating history of the Banff Springs Hotel. Written by a local author, the book ties in anecdotes and factoids to make a mesmerizing reading experience. 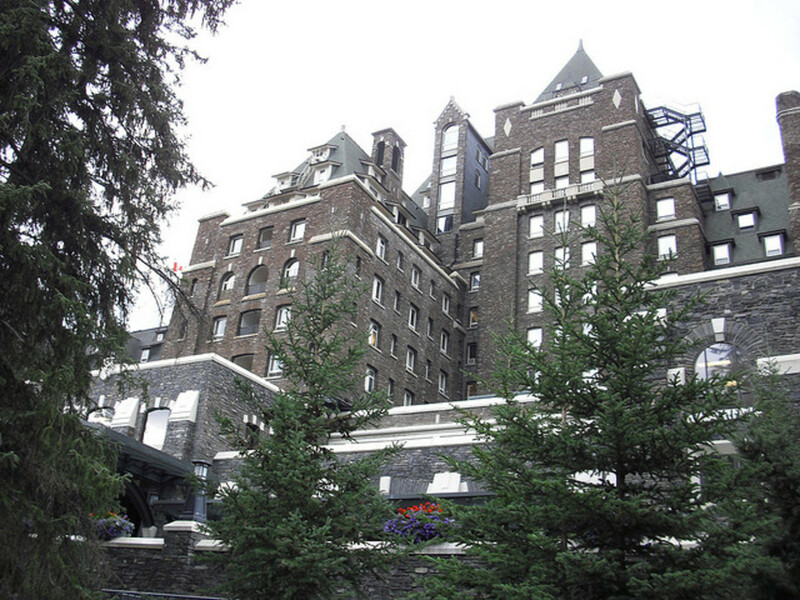 The history of the Fairmont Banff Springs Hotel is a page-turner. Motivated by commerce and gripped by a vision, William Cornelius Van Horne, manager of Canada's national railroad, wanted to find a way to bring visitors to Canada. He is famous for saying "since we can't export the scenery, we will have to import the tourists." Van Horne, determined to develop the business of tourism in the Rockies, had three smaller hotels built in throughout the Rockies. 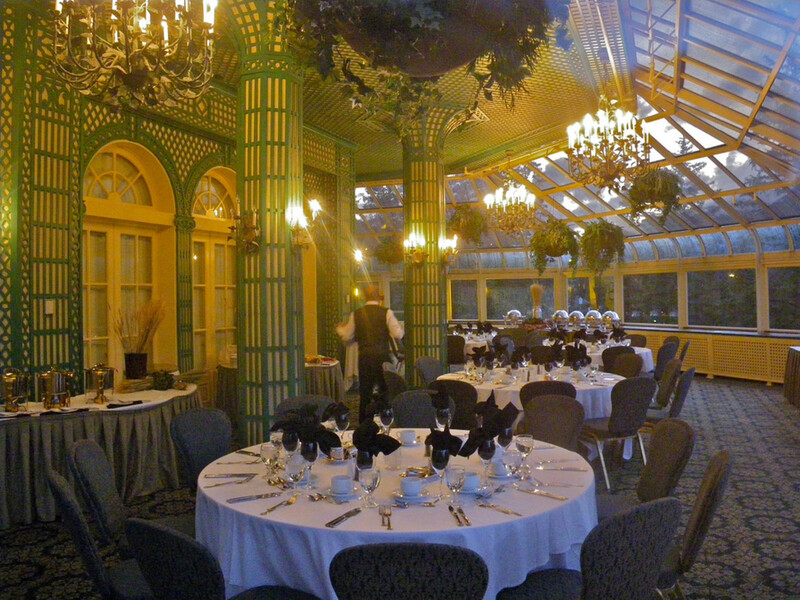 He used the services of the famous New York architect, Bruce Price, father of Emily Post, the etiquette lady. All the while, Van Horne was planning for his grand project. 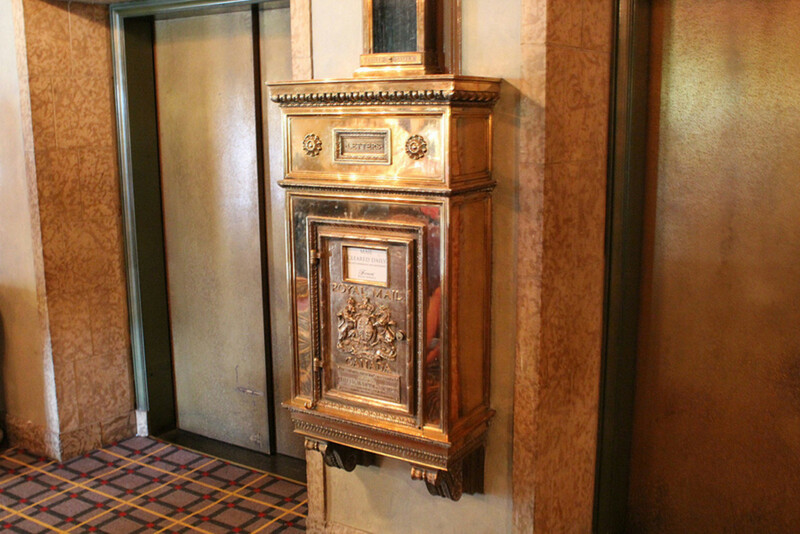 The hotel was built in 1888, by Price, at a cost of a quarter of a million dollars. The equivalent cost today would be almost almost six million dollars. The original design was quite different than today's structure and was closer to the style found in the rest of Banff of a Swiss chalet. The first hotel was made entirely of wood. The original hotel burnt down in 1928, but by that time, there had been numerous renovations done and so there was still a building there. Another American architect, William S. Painter, rebuilt the structure using concrete faced with stone into its present state. Since 1928, there have been numerous renovations and additions, including a state-of-the-art spa and an on-site staff housing unit. 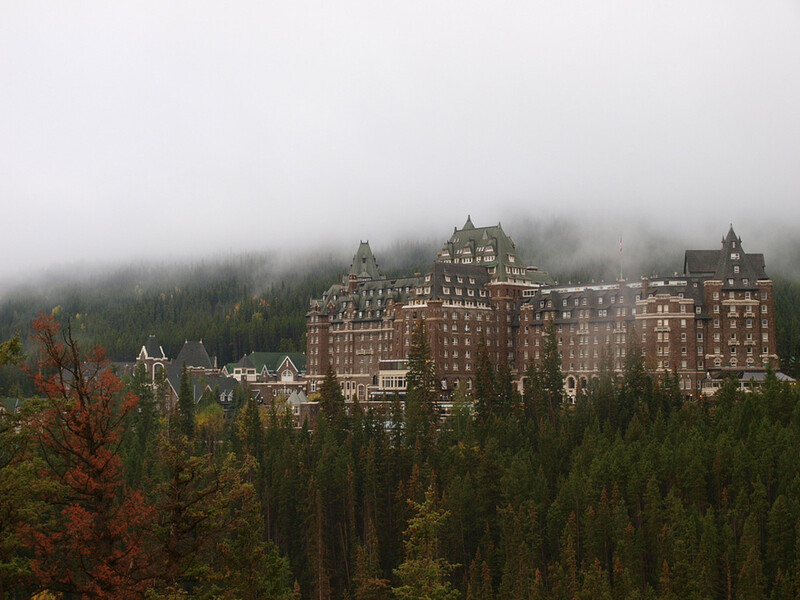 I hope you have enjoyed this learning expedition focused on the Fairmont Banff Springs Hotel. I know I have learned a lot about this fascinating building. I learned that the hotel has connections with etiquette, with famous starlets and with royalty. I found out that the same person who spearheaded the building project was in charge of a whole railroad. And I learned that the hotel, unlike the mountains, has changed and transformed itself throughout the years. I hope you learned something new, too. And if you ever decide to stay there, enjoy yourself! 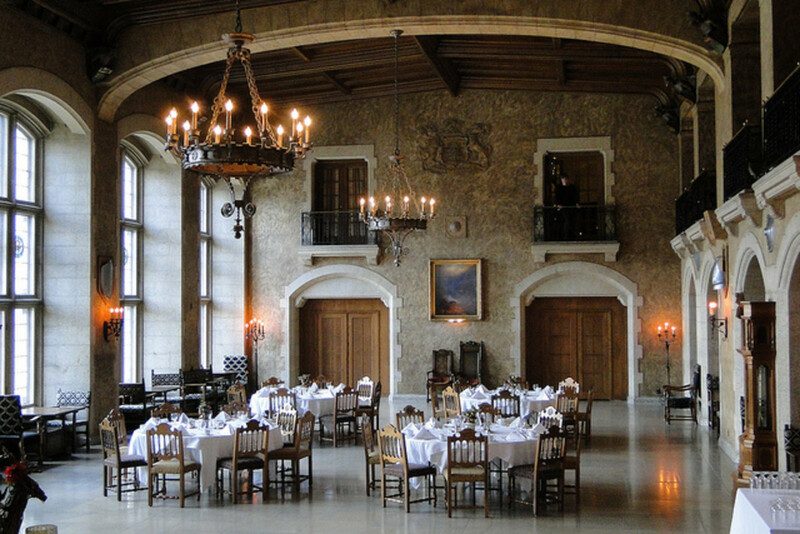 Experience an unforgettable Banff Springs Hotel. 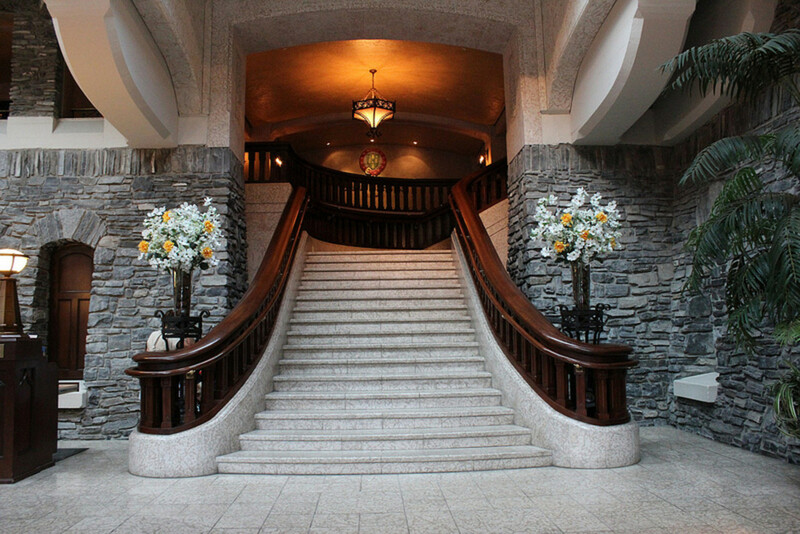 Featuring lavish suites, luxurious amenities and gracious service in a breathtaking location, the Fairmont Banff Springs resort is extraordinary. Wikipedia entry on the Banff Springs Hotel. @HoneyBB, Banff is known for its retreats. If you ever had the opportunity, I would definitely recommend it! Thanks so much for the lovely comment. This literary-journalism program has been popping up in my facebook sponsored ad feeds lately and I thought how beautiful it would be to win this opportunity and stay at this place. You did a wonderful job describing it and all it has to offer. Prairieprincess, I did enjoy the tour of this great Western Canadian icon. 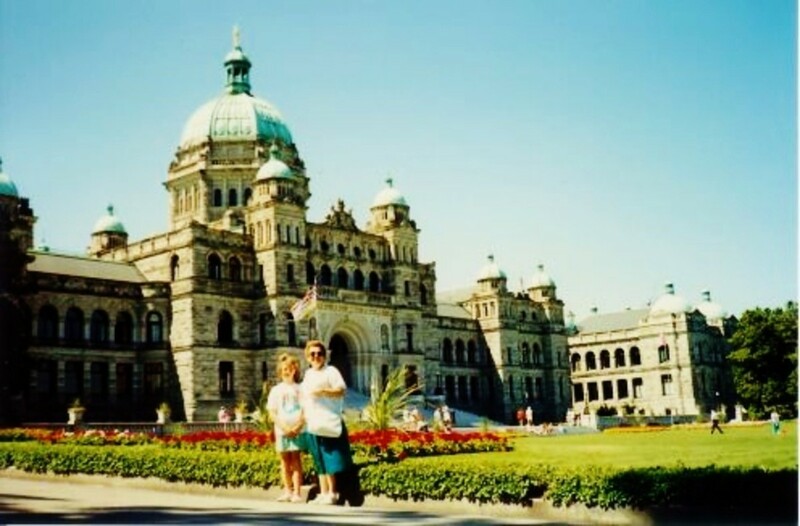 My husband actually worked there as a teen in the summer polishing silverware, and we have made a side-trip many a time during the drive between points West and the BC Coast. Like you, we haven't actually stayed there ourselves, but know people who have. We once had breakfast there with friends who were staying there but I know that doesn't count. Hi Prairieprincess. 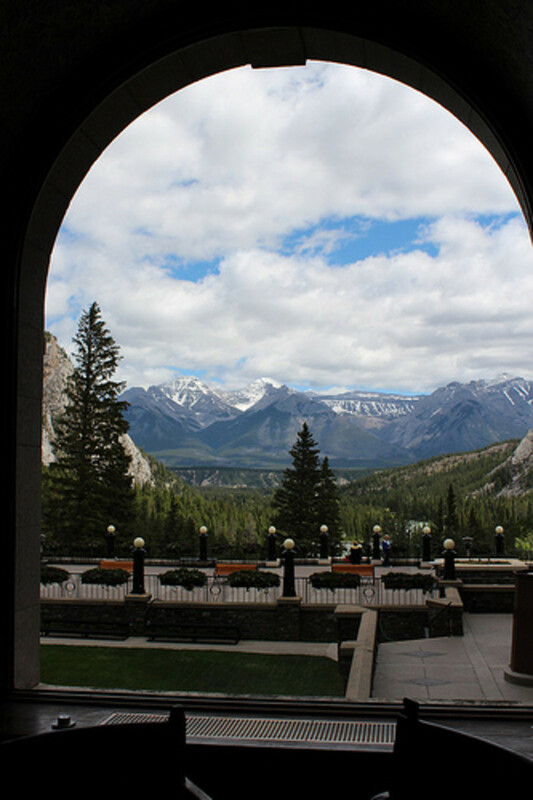 You loved this introduction and tour of the Banff Springs Hotel. It can certainly live up to being called a castle as well. If I were ever to visit Canada it would be top of my list. I have always been fascinated with the amazing piece of architecture seemingly in the middle of the snowy wilderness. A beautiful hub with great info nd photos. @Blackspaniel1, thanks for the comment, and sorry for taking so long to get back to you. Yes, impressive is a good word to describe it. Take care. Impressive building in an impressive setting. @Kathleen Cochran, thanks for coming by! I do hope you are able to visit someday. It really is beautiful. And yes, the hotel is very similar to castles in Europe (only very modern inside!) Have a great night. @All4JESUS, you are so right! All of that beauty certainly does point to the one who created it all. And as for skiing, it is world-class. Thanks so much for the comment, and take care! @Joyfulcrown, that is a great word for it: magical. Thanks so much for the comment and take care! What a magical place. This is one of the places I would really visit one day. Thank you for sharing. The pictures are so beautiful. I have heard of this place but have never seen it or read its history. What a wonderful tribute to God's glory and to a historic landmark. Very well done! I hope to be able to visit one day. How is the skiing? I met a grey haired lady once in Whistler Canada and she stated that Whistler was the prelude to the real ski trip where they would be dropped from a plane to ski Banff. What a remarkable lady! Banff is on my dream list. You certainly did it credit with this hub. I had idea there was a castle/hotel there, but it reminds me of the Empress in Victoria and even Neuschwanstein in Germany. PAPA-BEAR, thank you so much for your kind words. It was lot of fun to research and write, and I am glad you enjoyed the read. Have a wonderful evening! Wow a little slice of history about a really big place and quite a treasure. Thank you. 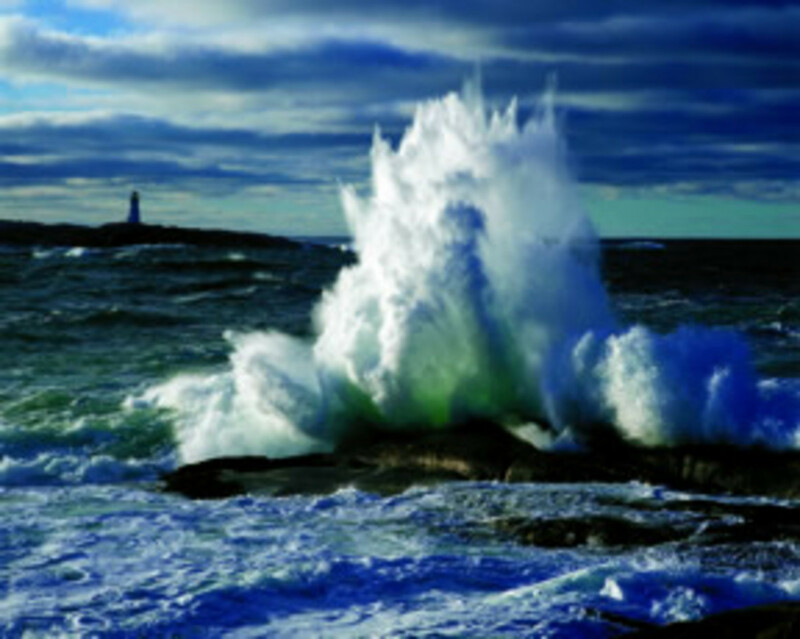 Till, it really is breathtaking and I am glad that you found the hub interesting to read. Have a wonderful night, and thanks for the comment and votes! Wow...this place is breathtaking from the hotel itself to the scenery! You've really given a lot of interesting information not to mention the photos and videos. This is a travel hub that is more than worth its weight! Voted up, awesome, and interesting. Teaches, thanks for the comment! I am sure you would love it. Canada's actually pretty close to the USA, you know! Take care and I wish you all the best in your upcoming school year. What a beautiful place! I certainly would enjoy staying here on vacation. Thanks for highlighting its features. Seeker, that is a good question about Banff, Scotland. When doing my research, I did see that Banff, Alberta was named after Banff, Scotland, because the founder of Banff was from that town in Scotland. So, there is a connection there, but otherwise they don't seem very similar. I am so glad you liked the hub and I appreciate your visit. I also have a real hankering to visit Scotland some day, so you never know! Have a wonderful day. I loved this hub about this awesome hotel and the scenery surrounding the place is stunning! I would dearly love to spend some time at this beautiful hotel and visit Banff as well - I wonder if there would be any similarities to Banff, Canada and Banff Scotland? It would be interesting to find out one day! Not only that, but so many famous people as well - the energy of this place must be extraordinary! Thoroughly enjoyable + voted up! @Audrey, I will see you on the road! Hopefully! And good for you, for getting yourselves decent cameras. They are definitely worth it. A good camera is on my wish list, for sure! @Angela, thanks so much for the comment. I'm glad to do a little bragging about one of my favourite places. Take care and blessings, Angela! @Movie Master, I appreciate your kind comments so much. 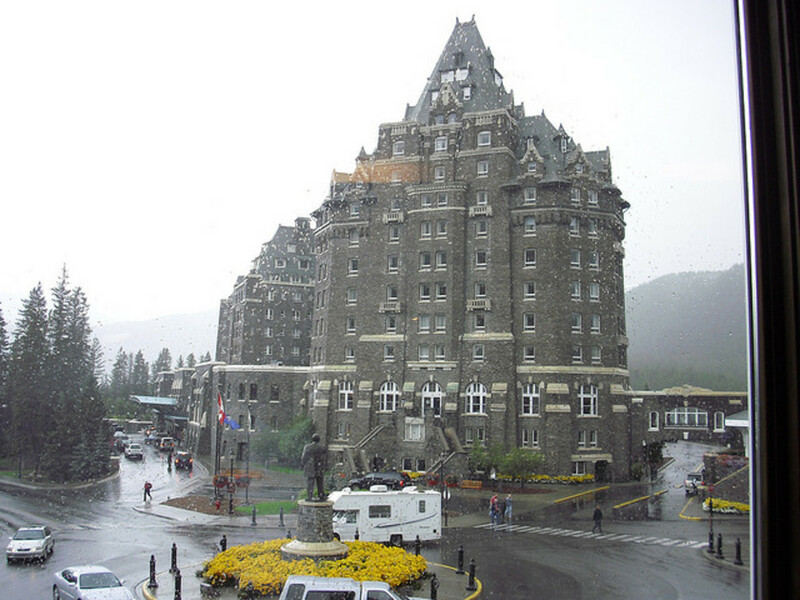 That's so neat that you had an opportunity to stay at the Banff Springs Hotel. It sounds like it was very memorable for you! Thanks for sharing your experience. Take care! 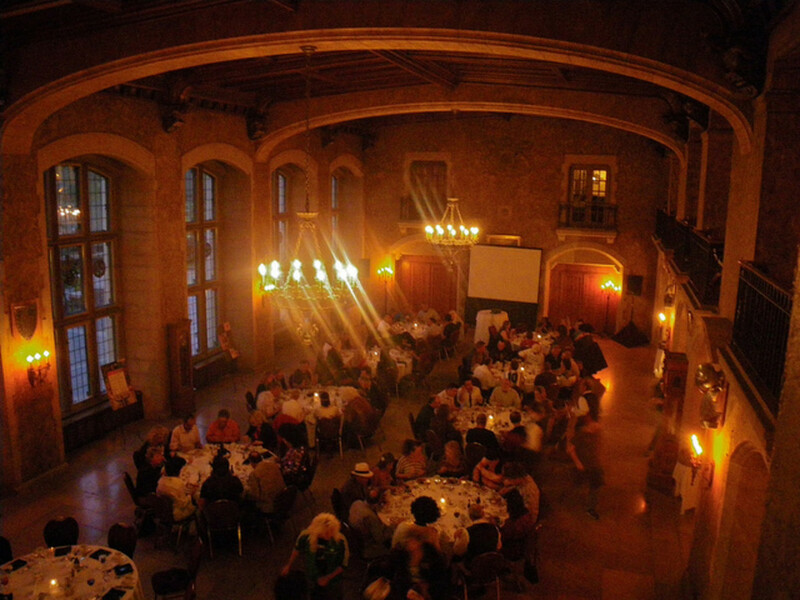 A wonderful, wonderful hub - we stayed at the Banff Springs hotel for just one night! and what an amazing experience it was, I will never forget it! Thank you for this interesing read, I enjoyed learning more about the history of the hotel. Ha - glad there is someone thinking along the same lines...if either of us do it, we have to meet up somewhere...and the camera would be a great addition for your writing, too...at least that's what I said when we gifted it to each other last Christmas. It wasn't the most expensive but it really is a nice step up for the pixels...and we both do photography in real life so of course it was a great "excuse"--but there is just so much to capture~ See you "on the road"--at least mentally! Audrey, that is so awesome! I have the exact same dream! And I do think we might do it sometime. I mean, if there's no mortgage and no gas bill, how much money could you save? I was just telling my husband a couple nights ago that I would love to have an excellent camera, and just travel around, take pictures and write. I do believe it's doable. I know ... there is SO much to see out there. Thanks fo the comment again. Wow. Have an awesome night! Definitely - I'm in love with nature and mountains, lakes, oceans...I think I'm in love with vacation or time away with my hubby, my dogs and my camera...my dream would be to just sell my house, buy a huge motor home (who could afford the gas though) and take off with my computers and the above...and travel EVERYWHERE and write and take pictures....truly there is so much to see. I only wish I had time to see everything! Audrey, I am so glad that this hub allowed you to experience a place that you would love to visit. I have the same experience when visiting other hubs, so I understand. There is something about the mountain air that just makes you feel alive. Take care and I appreciate your comment so much! Oh I'm crying now...I so want to go to Banff - I always have dreamed of going there on vacation...but I guess I got a wee bit of a virtual 'vacation' through your beautiful hub. Lovely spread and I love how you included the map. I have yet to remember that so gotta include it somewhere. @Virginia, that is an interesting connection. And yes, that museum is still there. I remember visiting it when I was a child and it has a lot of taxidermy. The animals are very life-like! Thanks so much for stopping by! @Liz, that's great! I hope you make it someday. The scenery is amazing. Thanks for stopping by! @Deborah, that is so interesting! Wow, it sounds like the hotel really had an impact on you, to dream about it. Thanks for the comment! @Green Lotus, that is so neat that your parents had the opportunity to visit. The beauty is so breathtaking. Wow, that's interesting that you mentioned Alaska. I have never been to Alaska, but I spent a year in the Yukon, which is right next door. The wild North is so, so beautiful, too. I would love to make it over the Yukon some day. Thanks for coming by and have a good day! This was an informative hub about Banff. I enjoyed reading it and the pictures were fantastic. It's now on my bucket list. For many years, my best friend lived in Calgary and I would visit her a couple of times a year. On one trip we visited Banff and I remember how very beautiful it was. I think there was and interesting museum there with a lot of natural items to see. I remember seeing a stuffed beaver, which I'd never seen before. I also think we saw mountain goats. Great Hub! So beautiful! My parents went there on vacation years ago and never stopped talking about the breathtaking scenery. I never got to go, but it does remind me of the scenic beauty of Alaska. Great read and stunning photographs. Thanks! Very well done. I've never been to Banff but once had a dream about the hotel (I must have seen a picture of it that burned into my brain or something) so I've always wanted to go. Thanks for the virtual tour.